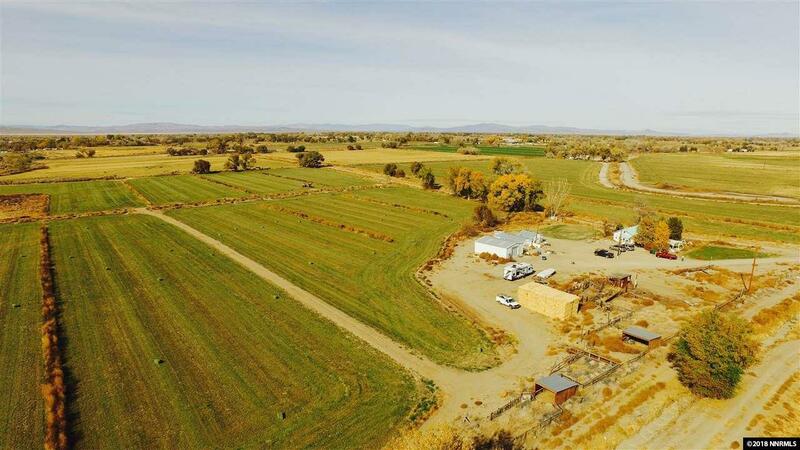 FALLON, NV 89406; 40 ACRE FARM WITH 31.77 ACRES OF WATER RIGHTS. Adorable farm house with newly remodeled kitchen, stainless appliances and tile floors. Reverse Osmosis in kitchen. Home features original wood floors, wood burning fireplace and a wonderful sunroom/dining room that is not included in square footage. There are several outbuildings on the property as well as a 30x36 foot metal shop building. Quiet location at the end of country lane.